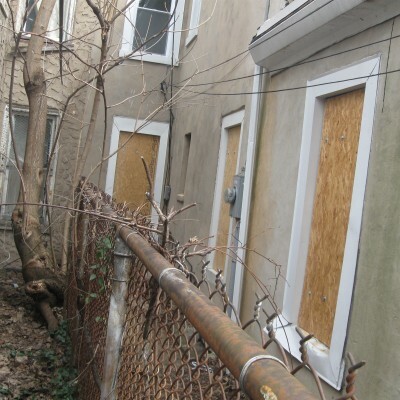 If you experience the devastation of a fire in the Greater Philadelphia or Southern New Jersey area, you can trust the professionals of PuroClean Emergency Recovery Services to restore your property. Whether it’s a commercial, industrial, or residential fire, we provides you with a team of technicians who are fully trained and certified by the IICRC-Clean Trust for fire, water, and smoke damage restoration. 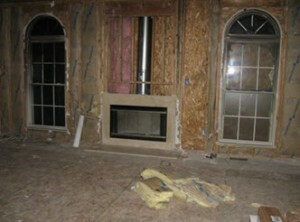 In Sicklerville, NJ this fire damage restoration project is well underway! With knowledge, compassion, and skill we respond – 24 hours a day, 7 days a week because we understand that fire damage restoration requires urgency and sensitivity. When the fire is out, timing is critical. Within hours after a fire, the glass and metal fixtures in your home or business – including windows, door handles, and faucets – can suffer permanent damage if not properly treated as soon as possible. 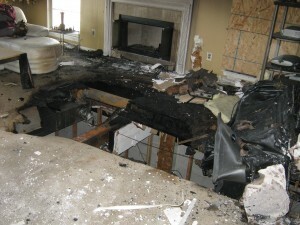 Fire damage and smoke damage clean up must begin quickly to save you time and money later! First, we understand the trauma and emotional upset that occurs after a fire. So, we work quickly and considerately to mitigate the damage on all your property that can be saved. Second, we photo-document everything before we start the fire damage restoration process. Sometimes, household items, fixtures, metals and other contents can be cleaned on site. Sometimes items need to be “packed out” and cleaned off site. In that case, we remove those items that can’t be saved. 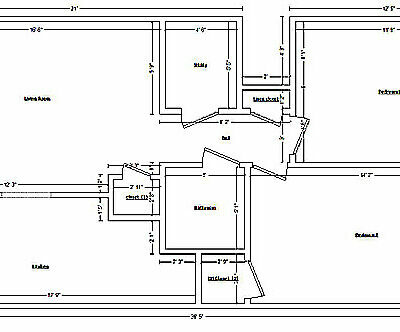 We evaluate the property’s damage, remove debris and provide a deep cleaning throughout the entire property. Finally, we restore any contents contaminated by smoke odor or smoke fumes to reduce potential health hazards. We focus on salvaging and restoring your personal property damaged from fire. Our state-of-the-science techniques and cleaning solutions can dramatically increase the likelihood of saving property without needing to replace it. Fire and smoke damage restoration requires knowledge and skill. Our PuroClean Emergency Recovery Services professionals have the expertise to do the job right! Our certified professionals determine the full extent of the damage from the fire, including the impact that smoke, heat and soot has had on your property. We work with you, keeping you informed, and helping you to overcome your loss by restoring hope: we explain what can be saved and how, in a way you can understand. We help you understand what is happening, what you can expect, and what you can do. And we work with your insurance company and insurance adjuster to help you get back on your feet as quickly as possible. Our treatment always includes respectful handling of your property and your belongings as if it was our own. Our comprehensive emergency fire damage repair services can reverse much of the effects of fire and smoke damage. Trusting PuroClean Emergency Recovery Services to restore your property can make a very emotional and stressful time much less unpleasant. Heavy Duty Board Up and temporary roof tarping – to prevent further damage by protecting your property from the elements, vagrants, and vandals. Fire water damage restoration – prevents mold growth from adding insult to injury by drying the water fast. And, we’re experts at working with your insurance company adjuster to estimate the cost of the damage because we’re familiar with all the digital software estimating programs. For all your fire damage restoration restoration needs, in Philadelphia, Cherry Hill, and the surrounding area call 877-750-7876.